Fundraising: We need volunteers to help organise and support fundraising activities and events. In 2012 supporters raised funds for Peamount through cake sales, golf outings, hill walks, church collections, marathons and workplace collections. There are many many ways you can help raise money for our valuable services to the community. One to One support for Clients: Clients living in the community need the assistance of volunteers to help them in the transition from institution to community living. This involves befriending the client and supporting them in everyday activities such as shopping, sport and social activities. Providing Transport: Many of our clients living in the community have difficulty accessing our services due to a lack of transport. 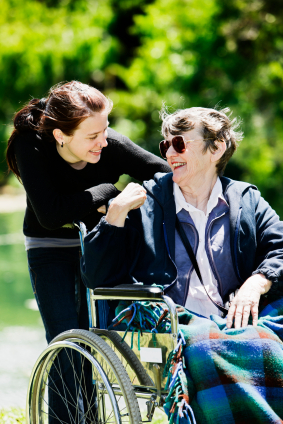 We need volunteers who can provide a lift to and from our services for these clients. This can be for as little as one hour per week. Companionship: Some of our residential clients have few visitors and can be lonely at times. Volunteers can help provide companionship for these residents. It can be as simple as sitting down and having a chat with them, playing cards or bringing them for a walk around our campus. Teaching: Many of our clients like to participate in art, computers, creative writing and crafts. We need volunteers to help with these activities so that more of our clients can participate fully. You don’t have to be an expert to help – let us know what you can do. These are just a selection of ways in which volunteers can help Peamount Healthcare’s clients. If you think you can help please let us know. Volunteers make a huge contribution to our Service and brighten up the lives of our clients in so many ways.